With locations in both Moncton, New Brunswick and Halifax, Nova Scotia, Maritime Window Film Specialists specialize in a variety of window films including solar control window film, decorative frost, safety film, graphics and vinyls for residential and commercial applications. We help home owners reduce fading and the heat and glare of the sun. 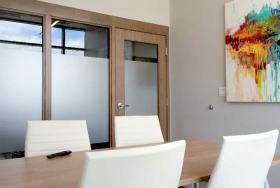 We help business owners achieve custom and professional office spaces and storefronts. We offer unique privacy options as well as safety solutions for homes and businesses alike. 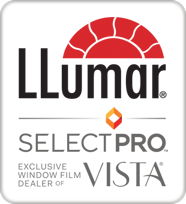 With over 30 years experience working with window films, our professional and knowledgeable staff will find the best films available to meet your needs. Select a category below for more information on our products. Call us today for your free consultation & estimate! Often called window tint & tinting, solar film helps reduce intense heat, glare and UV from the sun. It's like sunscreen for your home! Frosted to help create the right amount of privacy needed for example: bathroom windows, shower enclosures, entrance sidelights & transoms, boardroom office windows, etc. Helps reduce the risk of injury in case a window is forcefully or accidentally broken, or to help keep out unwanted intruders in case of vandals and thieves. Custom decorative window films are fast becoming very popular in modern design when it comes to creating privacy with art or branding in the corporate and business world. We work with architects, designers, business owners & home owners to help create spectacular design effects using various types of frosted, opaque & clear films that we can add colour graphics and cut out designs, adding privacy, beauty and style. 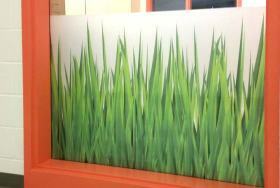 Custom printed design for your window film gives it a personalised touch. 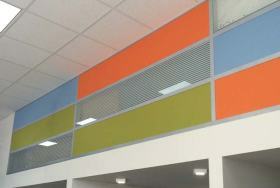 We can also help with signage and decorative prints such as wall murals. We can also create signage for many applications such as business entrance logos on doors & windows, custom window sticker decals, employee names & titles applied to sidelights, doors & walls. 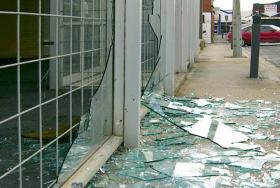 Window barrier strips to help prevent accidentally walking into clear glass entrances & doors.